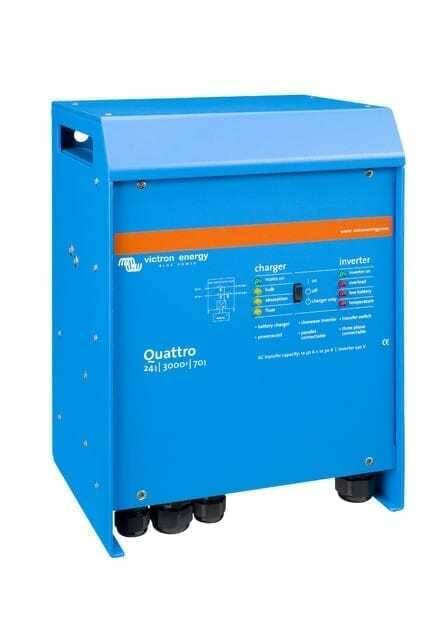 Similar to the MultiPlus, the Victron Quattro 12/3000-120-50/50 12V 3kW Off-Grid Solar Solar is also a combined inverter and charger. Additionally it can accept two AC inputs and automatically connect to the active source. 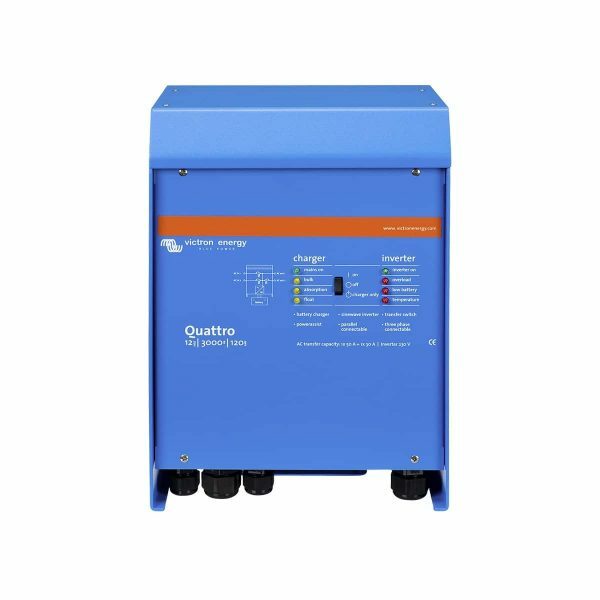 Its many features include a true sine wave inverter, adaptive charging, hybrid PowerAssist technology plus multiple system integration features such as three or split phase operation and parallel operation.